Enjoy your favorite TV shows everywhere. Cook along with your favourite food program in the kitchen. 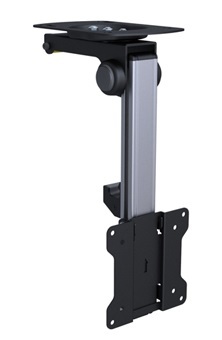 Handy way to mount a small flat screen TV in a cabinet or around a corner in your kitchen, workspace and children’s room. 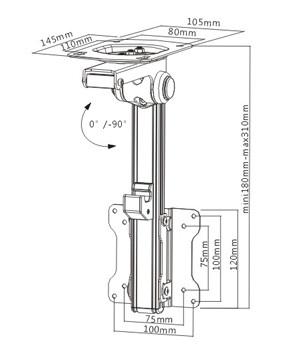 This ceiling mount can fold for saving space and available for pitched ceiling installation. Its swivel, sliding can offer the best viewing angle. It support most 13’’-27’’ monitors up to 20kgs/44lbs and the strength has been tested for a minimum of three times its stated load capacity. • Recommended Screen Size: 13"-27"